As Im sure youve probably noticed, TVs are pretty big nowadays. They seem to be getting bigger by the day in fact. Once it was just this little 18 box that youd stick in the corner of the living room but today, its not weird to see a TV1 taking up most of one wall. 40-inch televisions, 50-inch, even 60-inch inch TVs arent all that uncommon. We understand it. It makes perfect sense to want to replicate the experience of watching a film in the theater as much as you can in your own living room. And a big TV would definitely help with that. Plus you could have the home theater experience with TV shows, sports, even video games, which is an even bigger incentive to go big. Which 32-39 Inch TV is Right for You? As far as were concerned, a 32-inch TV through to a 39-inch TV is a great size range to go in between. They are still big screen sizes, and are often sold with all of the big scale benefits such as HD and LED and its usually not that expensive. So if thats the type of TV you want, lets talk about some of the best ones. Huge brightness range from the LED screen. A QAM tuner in place of the usually more awkward antenna. High Motion Rate with Clear Pix Engine Plus. Internet Apps Plus is a very user-friendly smart platform. Several inputs and outputs including 2 HDMI ports. 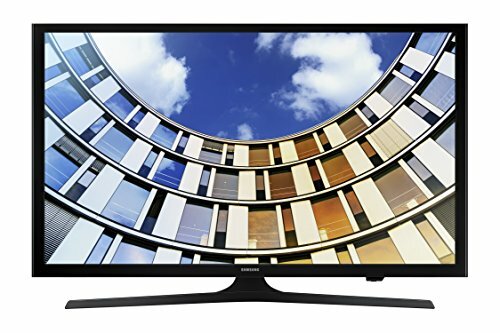 So our top pick of this review is this TV from Sceptre. Its got Full High Definition or FHD as it is abbreviated to here, and that will give you a nice, high screen resolution picture. The screen is also full-array LED. 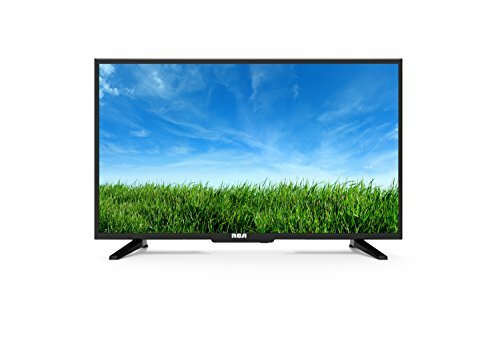 This means that this editors choice TV has a strong, multi-layered backlight which means that you will have a good range of brightness. The image will be clear and detailed regardless of whether the scene is particularly bright or dark. The Motion Rate is high at 120. The particular system is called MEMC 120 which is great for fast-paced action. Theres also plenty of different inputs ranging including USB, HDMI inputs, Composite and a headphone jack. + Huge brightness range from the LED screen. + A QAM tuner in place of the usually more awkward antenna. + Motion Rate of 120. Why We Liked It - Theres a lot of great features in our top pick TV that all add up to a solid product that is an affordable price. You can see why this was made our Editors Choice. 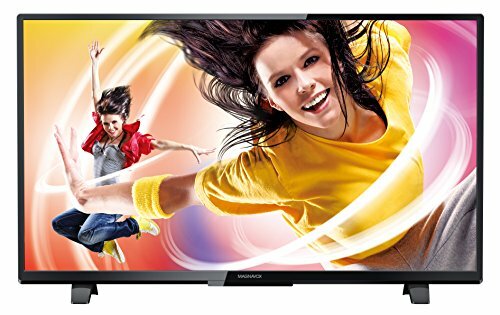 This product from Magnavox has full 1080p HD resolution which is a phenomenal picture. Nice, high Motion Rate on this product too at 120. Anything fast-paced will look great on this TV thanks to this Motion Rate and combined with the HD resolution the picture quality will be pretty outstanding. Much like the Sceptre TV that we talked about above, this also has the Full-Array LED screen so youve got that awesome backlight technology. Youll be very satisfied with the how much control this TV has over the brightness. Theres also a good variety of inputs and outputs, the highlight of which is the 3 HDMI inputs. So you wont struggle to connect multiple games consoles or set-top boxes. + High Motion Rate with Clear Pix Engine Plus. + Inbuilt JPEG photo viewer. Why We Liked It - This is another very affordable product that covers most of the bases for what makes a good TV. High resolution along with LED and a good Motion Rate. In terms of picture quality, this is actually a little bit of a step down from the other two TVs we've talked about. The screen resolution here is 720p as opposed to 1080p which obviously is not quite as good but it is still high definition so it's definitely a good picture. What it does have is the Full-Array LED backlight, so while it might not have as detailed a picture it will still have a strong light uniformity. The other big difference between this and the others is that the VIZIO model is actually a Smart TV. So that's a huge advantage that it has because Smart TVs make it an awful lot easier to access some of the best film and television stream content out there. VIZIO has their own smart platform too, known as Internet Apps Plus and there's also built-in WiFi too. + Internet Apps Plus is a very user-friendly smart platform. + Several inputs and outputs including 2 HDMI ports. Why We Liked It - The big selling point of this one is the fact that its got smart compatibility. The picture is not as good as some others but considering the price, the smart compatibility makes this a great TV. 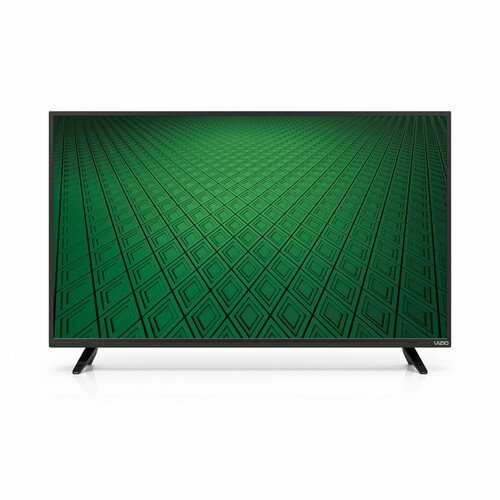 This is quite similar to the other VIZIO TV on the list here except that it doesnt have the smart compatibility. So that is a little bit of a letdown but it doesnt mean that this isnt still a strong TV. As we said already, 720p resolution is still HD so it will have a great picture. The fact that it has Full-Array LED too is also a factor in ensuring very high picture quality. The sound quality on this TV is excellent too thanks to home theater systems called DTS StudioSound. 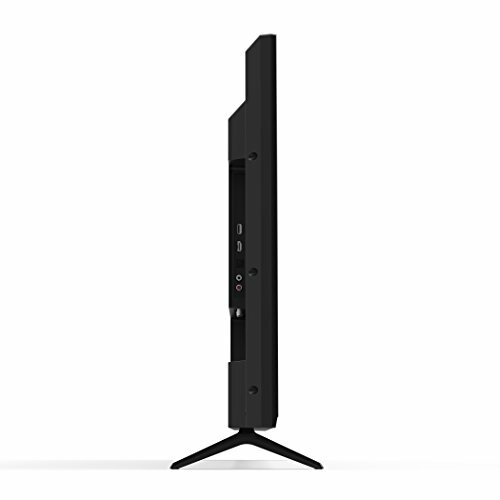 Theres plenty of inputs and outputs to talk about with the 39 inch LED TV, with 2 of the all-important HDMI ports and 2 USB ports. + The stunning Full-Array LED screen. + DTS StudioSound will give you brilliant quality audio. + No shortage of inputs and outputs. Why We Liked It - In terms of TVs that lack both the highest possible screen resolution and smart compatibility this still has plenty of great TV features, including its 39 inch LED screen and DTS audio. Samsung is an always reliable brand with many terrific TVs to their name. This one is no exception to that. 1080p resolution, which is Full HD and a beautiful picture for your home theater. It also has a feature called Micro Dimming which optimizes the brightness on individual parts of the screen. The TV also has a Full-Array LED screen which helps with that brightness control too. 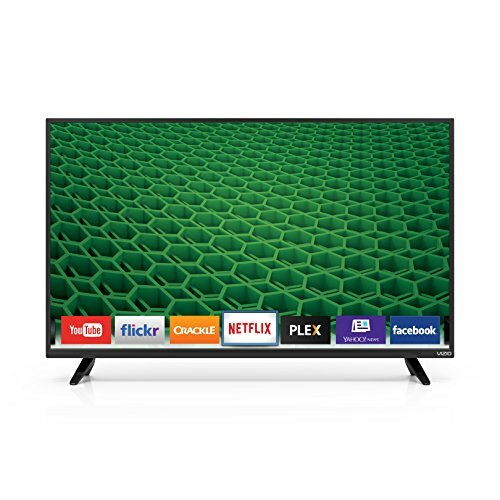 This is a Smart TV on top of all that and it also has a great feature called ConnectShare which allows you to easily connect external hard drives to play movies and television shows from. The only real issue is that the Motion Rate isn't that great, topping out at just 60. It's not horrible but ideally, a TV would have Motion Rate 120 or more. + Smart TV function and ConnectShare. + Very clear DTS Premium sound quality. Why We Liked It - Since the Motion Rate is the only real detractor here, this is a fantastic HD TV overall and the smart platform is a big plus. This is a fantastic TV. Just an outstanding model in pretty much every way possible. The first thing worth talking about is the 1080p resolution. You know well by this stage that a high resolution is essential for creating a stunning picture and this is the best that you can get without going up to 4K resolution. This also has a better Motion Rate than any TV we've talked about so far with Clear Action 240. 120 is good but 240 will give you no trouble whatsoever, everything will be smooth and fluid no matter how fast-paced the content. 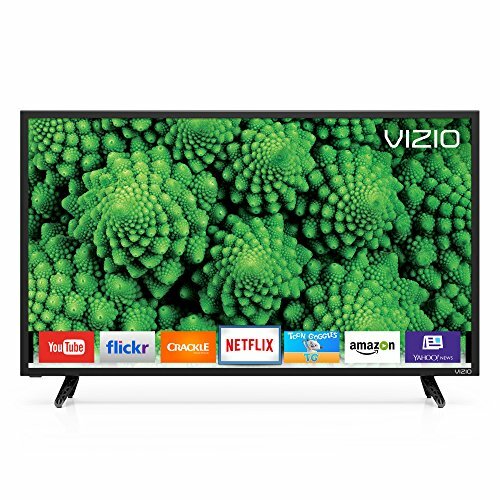 Full-Array LED too so the brightness range is great and this is also a Smart TV complete with the reliable VIZIO Internet Apps Plus TV platform. + Ultra-smooth with a Motion Rate of 240. + VIZIO Internet Apps Plus. + No shortage of HDMI or USB ports. Why We Liked It - Its an outstanding Smart TV with a picture thats spectacular in every possible way. And its very affordable in spite of that. This Smart LED TV is another Sceptre product here and its also a very good model to add to your home theater. With 1080p it has excellent resolution and it has the added benefit of being Full-Array LED too. It has the same QAM tuner that we talked about with the other Sceptre TV and that will take the place of an antenna. With antennae being pretty outdated these days having a tuner in place of it makes it much easier to connect to the local networks. Not a Smart TV but if youve got a retro collection of movies this product does have a built-in DVD player. Not the most modern of technologies but there is a certain vintage charm to playing DVDs on a very modern screen. + Strong resolution at 1080p. + Excellent backlight with the smart LED screen. + A built-in DVD player. + 3 HDMI ports with a few other inputs too. 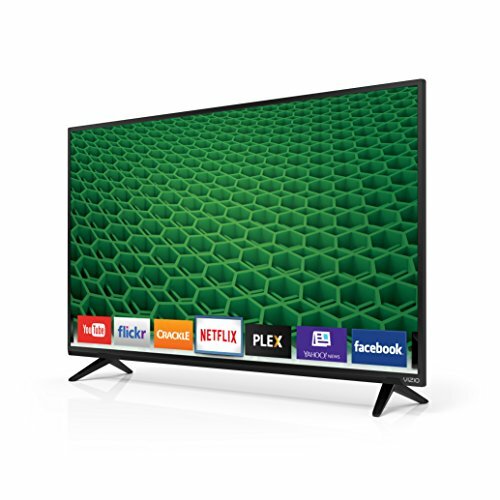 Why We Liked It - For a Smart LED TV this size it is extremely affordable and while there are better TVs on the market, the picture is still excellent and there are some other very handy features. One of the smaller home theater TVs that well be talking about in this article but still in the range of 32-39 and its also very affordable. The picture of this 32-inch TV isnt lacking in resolution at all. Its 1080p, just like the best models that weve discussed already. And again weve got a Full-Array LED 32-inch 1080p TV screen so youll enjoy a nice range of brightness. Like the model we just talked about, this 32-inch TV is a TV/DVD combo which is relatively rare in modern HD TVs but is still a fun, useful feature to have. This 32-inch LED TV also has a tuner that allows you to switch between different regions. + 1080p resolution is great as always. + Full-Array 32-inch LED screen. + Tons of different outputs including 3 HDMI ports. Why We Liked It - This 32-inch TV far from the best choice, but it is an affordable HD TV with an LED screen so there's not a huge amount to complain about either. At the largest end of the spectrum here sizewise, this TV is 39-inch TV and is packed with awesome features. First of all, it does have 1080p resolution so that's a great start. It's Full-Array LED too and that's always an awesome feature to have. Everything is lightning fast thanks to V6 Six-Core Processor which is actually a pretty new feature that could very well change the TV game in the not too distant future. 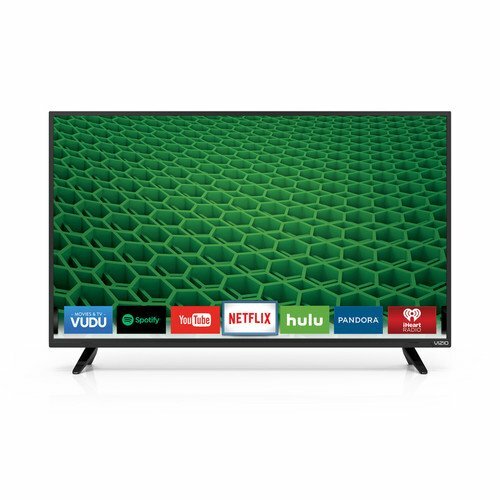 This 39-inch TV is also one of the TVs on out list that is actually a Smart TV so that's apretty big advantage over some of the others for your home theater. Why We Liked It - A fantastic LED TV all-round. As were sure you can guess from the features, this 39-inch TV is one of the more expensive models but its well worth the money. 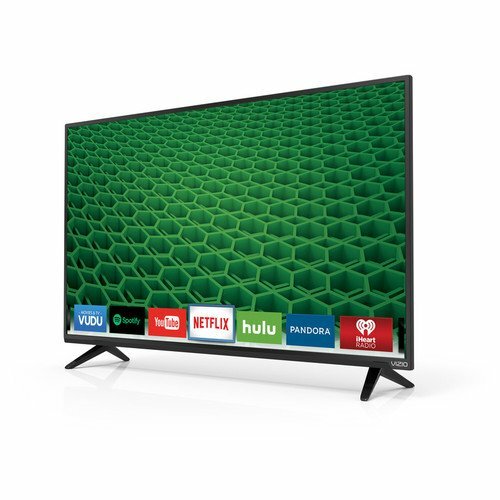 The last product we're going to be talking about is this 39-inch TV from Avera. There are better TVs on the list but there's still a lot to like about this one. The resolution is outstanding with Full High Definition or FHD which is 1080p. The best you can get from HD without going up to 4K resolution. It has a smart LED screen too with something called a Precision Contrast Enhancer. This will optimize the colors of every individual image as opposed to having a default setting all the way through. The Motion Rate is also quite high at 120 with a feature called Accelera++. And while it's not a Smart TV, it is possible to cast from your phone or tablet, directly onto the screen. + An LED screen complete with a Precision Contrast Enhancer. + High definition audio with a built-in Dolby sound system. 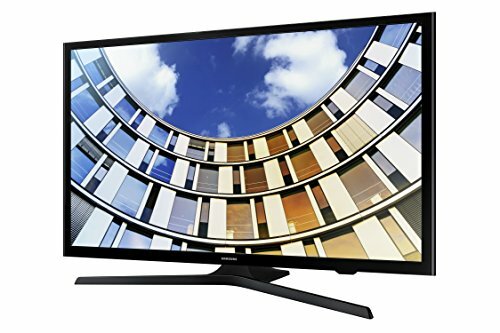 Why We Liked It - This Avera model is 39-inch TV but the picture is unaffected by that and as its still equipped with a high resolution and LED. 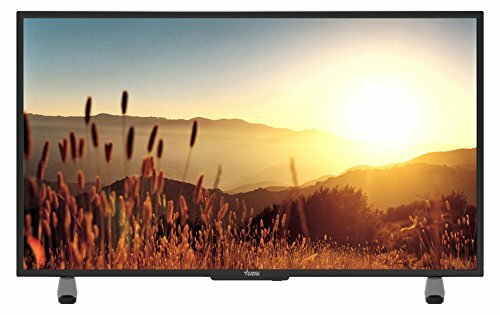 Very good LED TV thats not terribly expensive either. 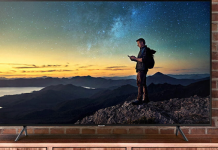 Before you actually make a final decision on which one these TVs you buy, there are several different things that you need to take into consideration that we will go over in this buying guide. All of the 39 inch TVs down to the 32-inch TVs are good for different reasons and some of these reasons might be more important to you than others. Depending on whether you want a good TV just for watching movies on, or if you only want it for sports, or if you're just a serious gamer who wants the best you can get out of modern games, one of these 39 inch TVs down to the 32-inch TVs will be better for you than the others. And on top of all those things, smart home compatibility has changed television forever. 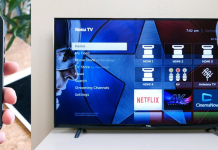 There are many more reasons why someone might want to purchase a TV now, and the features that each one offers is going to influence that decision. Let's discuss some of the factors that you should be thinking about. When we use the word resolution, what we're talking about is the amount of detail that the TV is capable of displaying on-screen. You're probably familiar with how this is represented in the form of figures. Even if you don't know all that much about technology, you've probably seen these numbers on YouTube videos or on televisions themselves if you've been browsing them. The figures like 720p HD and 1080p are probably the most common ones that we find nowadays because 720p resolution is the lowest form of High Definition. What the number refers to is the size of the image and how much of it is being replicated on the screen, so the bigger the number the better the picture. Older TVs, dating back to the earliest ones of the 1950's, would have had a resolution of 240p or slightly higher. This was fine back then when the type of content you were seeing wasn't being recorded with high-quality digital cameras or DSLR cameras, but the capabilities of television and movie production these days are pretty extensive. DSLR cameras can pick up an awful lot of little details that they weren't able to back in television's early days and with video game production being the best it's ever been too, there's a lot of incentive to go HD. 240p wouldn't even suffice for a YouTube video in 2019, HD is the baseline for pretty much every medium nowadays. So 720p and 1080p are both acceptable, but in the last few years, another level has emerged which is simply referred to as 4K resolution. This is the next stage of HD and is even more clear and detailed than 1080p. The thing about 4K resolution though, is that it tends to ramp up the price of the 4K television by quite a bit and it's also not something that would regularly find in the size range of the products this article is discussing. 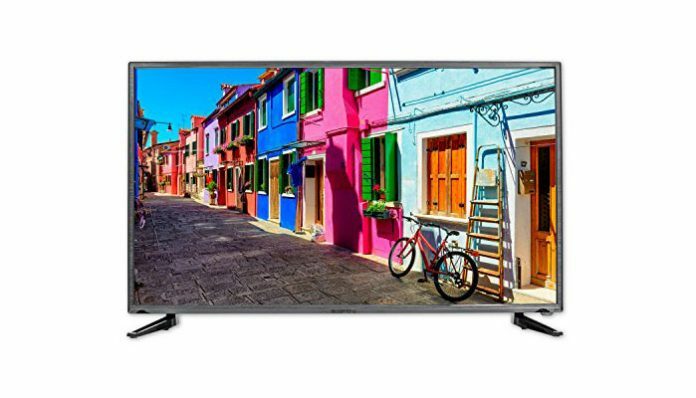 If you were looking for a great 50 inch TV you would probably be more likely to come across 4K LED technology but with the 32-39 its relatively rare. If you do come across one, chances are it will probably be more expensive than you might like. We think that if you want to get the best value, try to avoid anything less than 720p. 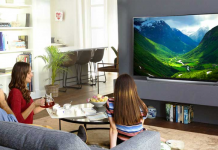 All television is adapting to the technological advancements that are affecting the industry and so most of what you will want to watch will have HD resolution at the very least. You will be missing a lot of the intended detail if your TVs capabilities dont match the quality of the content. LED TVs have actually been around for a long time. Far longer than the other features that we would consider modern like 4K. Oddly enough though, its not actually something that you will find in every TV. Other advancements have kind of pushed it aside a little bit, the most significant of which would be High Dynamic Range. 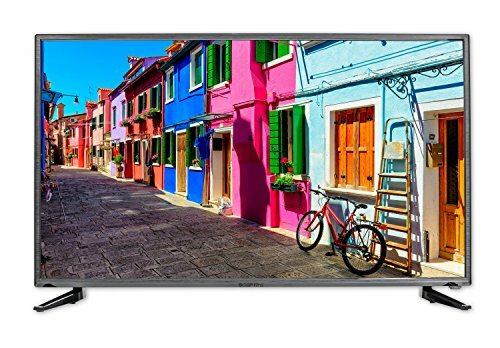 High Dynamic Range, or HDR as youve probably seen it abbreviated to, is a home theater system that increases the range of brightness that a TV is able to display. Its a very powerful, very popular feature that in many ways offers the same function that was initially offered by a 4K LED TV. LED actually stands for Light-Emitting Diode and in televisions, it's used as a backlight. The 4K LED TV will have an LED panel behind the screen which will control the brightness in the TV's picture. It's a beneficial feature to have because it's capable of doing something known as local dimming'. This means that different areas of the screen can be dimmed and brightened individually which will allow for the colors of every image to be optimized. So if you are watching a particular scene that has a large variety of different shades, each one should appear as lifelike as possible due to the brightness control of the LED panel. Whether or not HDR is actually an improvement on this is a topic of debate although most of the bigger, more expensive TVs do seem to be primarily equipped with HDR. And in some cases, a TV will actually have both which renders the argument as to which is better relatively moot. In the size range that we are discussing here, LED actually is pretty common, with HDR being surprisingly rare. But again, this isnt necessarily a bad thing. An LED screen has been serving viewers very well for many years and is still an excellent television feature. There is another feature that's popped up in the last few years known as OLED. The O' stands for organic and as this suggests, the OLEDs are made with organic material. The benefit of an OLED TV is both that they're more energy efficient and also that they are significantly smaller and more flexible. This means that the panel can be made up of more of these diodes, which makes the range of brightness they are capable of even wider. OLEDs are so small, that they can actually each be used as individual pixels. The brightness control created by this method blows regularly LED out of the water. Right now it's only being produced by LG electronics and is, unfortunately, something else that is not that common in this size range. There are exceptions though if you are interested enough in the concept. Surprisingly, this is also somewhat of a rarity in TVs of this size. Smart TVs cant really be considered the future anymore, because theyve basically become the present. They arent exactly monopolizing the TV industry like smartphones have come to monopolize the cell phone industry, but it is definitely getting to that stage. The benefits to a TV with smart home compatibility and smart features are numerous. Aside from the fact that its just massively beneficial for any electronic device that you will be consuming media from to have internet connectivity, the delivery system of movies and TV shows has changed. Of course, you can still use DVDs, Blu-Rays and regular television networks, the more common method these days appears to be streaming services. Every Smart TV will give you easy access to all of the major stream content services. Netflix, Hulu,and Amazon Prime will almost certainly all be installed in a Smart TV and right there when you load it up. And if for some reason they're not, you can download them from the app store. Any other streaming service you might want will probably be up there too. Many networks and media companies are taking the changes into account and creating their own services. It probably won't be too long before everything that you want to watch will be available via streaming service on a Smart TV. The benefits don't stop there. The app store of a Smart TV is full of interesting services and features that you probably would never have even considered. Scrolling through these stores is not that different to doing the same thing on a smartphone, and you'll probably come across certain things that you didn't know about but could be very useful or enjoyable. There are games, there are online stores, there are apps that will offer tutorials on things like exercise, cooking,and various hobbies. There's loads of stuff, more things than we could ever begin to list off here. Many of the biggest TV companies will have their own dedicated smart platform too. Like VIZIO as Internet Apps Plus and LG electronics as WEBOS. These TV platforms are designed to make navigating through your apps and services as efficient and easy as possible. They tend to be well put together and user-friendly which is a big plus. So again, a lot of the TVs we've discussed don't have smart compatibility and the ones that do tend to be a little bit more expensive. But it's a worthwhile addition and if it's something that you think you'd benefit from then you should definitely consider it. This is somewhat of a lesser concern because you'll find that most of the TV companies are well aware of how important this particular factor is. It's absolutely essential that you have all of the necessary inputs and outputs that will cover the functions you want your TV to cover. With most of these choices being HD, having a good amount of HDMI ports is something that you should want out of your TV. A lot of them will have between three and five HDMI ports which are a pretty good number and shouldn't leave you lacking too much. If you think about the type of smart home devices that you'll want to be connecting to the TV, you'll see why this is so important. There are Set-Top Boxes, which most people still have even though streaming services are slowly taking over. BluRay or DVD players, and then all of the current generation games consoles are connected by HDMI too. Of these smart home devices, most people will probably have at least two of them with a lot of people having even more. So you can see that the HDMI ports all fill up pretty quickly. It's nice to have everything connected at once so that it's easy to switch between them. In addition to HDMI, USB is also pretty important today. You can use USB ports to connect stuff like external hard drives, through which you can play movie files or episodes of television shows. Then there are others that might be relevant to you too. Like if you have something old-fashioned such as a VCR or an older generation video game console that you want to try out on a modern TV you will need a composite port. Headphone jacks are also something that could be useful. Not every TV is going to have each of these so if they're important, be sure to look out for them. As you can see, there's an awful lot of things that need deliberation when making this decision. But the good news is that there is also an awful lot of great choices. And of these choices, the only person who knows which one is right for you is you. We've probably said it many times at this stage, but we can't understate the importance of it. You have your own personal preferences, just like everyone else and so you should get the TV that suits your specifics. 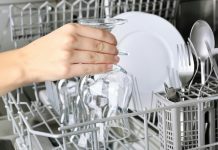 Go through each of the factors that we've talked about here and decide which ones are essential for you and which ones you can probably do without having. By doing this, you should be able to eliminate a few of the TVs and eventually narrow it down to the best one. No matter what, there's definitely a TV that will be satisfactory for you. When watching a movie on DVD or BluRay on a TV, you may have noticed that the dialogue tends to be much quieter than every other sound. This is to do with the TVs default settings being different from the movie settings of the disc. Change the sound settings to Movie to fix this. Pretty much everyone has heard about LED, but the newest development in that technology is QLED. This system uses Quantum Dot technology which uses even smaller LED particles. This allows for more of them in a single TV and a higher range of brightness.